Home > News > Online Mba > Are Coursera Courses Worth The Effort? They’ve been the looming game-changer on the horizon of business education for the last few years, and with good reason. As of 2018, students taking MOOCs (Massive Open Online Courses) number 101 million, and counting, around the globe. Free or low-cost online business courses—offered by providers like Coursera, Udemy, and edX—have seen enrolment boom. But is the hype justified? How do MOOCs compare to business school degrees? Are Coursera courses worth the effort? The benefits of taking a MOOC are obvious: flexible learning hours at a fraction of the cost of a traditional business degree. While MBA degrees can cost upwards of $100,000, Coursera’s verified certificates typically cost around $49. These certificates include ID verification, serving as proof that it was you who submitted the assignments. Coursera courses also come packaged under specializations which you pay for on a subscription basis, usually costing under $100 per month. Students revel in these benefits. Coursera-enthusiast Alex Chu recalls how he considered going to business school to pursue a Master’s in Business Analytics before a friend cautioned him against spending so much money when there was a cheaper option online. He began searching for MOOCs on Google and he hasn’t looked back since, with multiple online qualifications under his belt at a small percentage of what he might otherwise have spent. In fact, more than 50% of the students on Coursera’s degree programs start out as single module customers before committing further—a ringing endorsement of student satisfaction. To many students however, the value of a business qualification is determined more by the value an employer places on it. With their increasing popularity, it does seem that MOOCs are being legitimized, both by course provider name recognition and by prestigious partnerships. Most recently, Coursera has created training programs with the likes of Google and Intel. After the courses, Coursera offers to help participants find a job through its network of associated businesses, although it does not guarantee one. Is this a sign of MOOCs taking on business schools at their own game? Perry, a longtime proponent of the online business course, takes a more measured view. He reckons that online business courses are not a looming existential threat in the way that Uber is to taxis. Indeed, MOOC-based qualifications haven’t superseded the prestige of MBAs and traditional business master’s degrees offered by business schools. Business schools are offering more flexible programs anyway. The Online MBA at Birmingham Business School, for example, is delivered 100%-online. It costs more than a MOOC, but comes with the quality stamp of AMBA accreditation and the backing and expertise of an established business school. The University of Maryland’s Robert H. Smith School of Business has just launched a new Online Master of Science in Business Analytics, another 100%-online course delivering business school expertize on a subject which is especially popular among MOOC-takers. The program complements Smith’s roster of eight specialized masters , across topics like finance, accounting, and supply chain management. Some schools have even partnered with MOOC platforms like Coursera to take their degrees to a wider audience, although these prices are closer to traditional business school degrees than a $49 Coursera certificate. It’s clear that employers view MOOCs and business school degrees differently. In GMAC’s latest Corporate Recruiters Survey, only 6% of the employers contacted said they viewed MOOCs as an alternative to business school. This could well be because of the lack of networking opportunities afforded by an online course. One student we contacted who had completed courses at Coursera and edX before moving onto Cass Business School to study for an MSc went so far as to say that networking at business school is important as the courses you take. 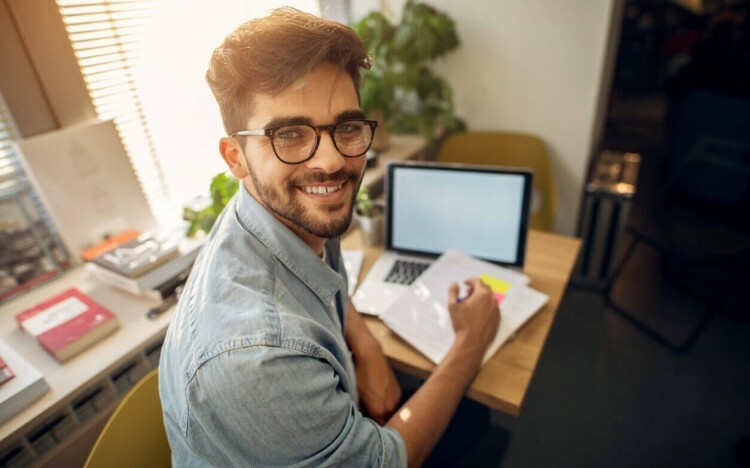 This is a basic limitation of an online business course that means it cannot truly threaten the traditional MBA or cause the seismic disruption to business education that some predicted: business is about people, and making deep personal connections remotely is difficult. Is doing Coursera courses worth it? So, if business qualifications from Coursera aren’t yet recognized on the level they might deserve, then why are people from all walks of life still signing up in their droves? Simple: these are courses that anyone can do to a schedule that suits them. Employers can also use MOOCs to upskill their employees without losing them to a full-time, on-campus degree. According to Dil Sidhu, chief content officer at Coursera, over 1,500 companies worldwide now use their enterprise platform, Coursera for Business, to transform their talent, with that side of the business rapidly developing. And nearly three-quarters of 600 employers polled by FutureLearn said evidence of online courses would help them make decisions about whether to promote an employee. Ultimately, business school degrees and Coursera courses offer different things. Because they’re often free, dropout rates for MOOCs are very high (over 90%), but that’s a bit of a moot point. The value of a Coursera course is more nuanced than being simply a cheap masters equivalent.